Lots-o-love went into this charming and fresh sauvignon blanc. Grapes from Mendocino, dry farmed and organic (not certified though). Neutral oak and tanks. The wine was aged for 6 months sur lies, blended, and bottled sans soufre with no fining or filtration. 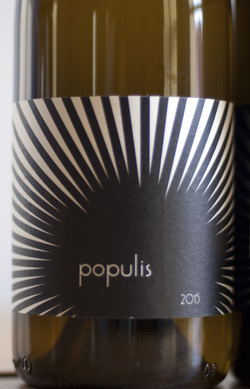 The mouthfeel is characterized by laser-like acidity, while the aromas and flavors strike a balance between greenness and riper opulence, resulting in a style that is uniquely Californian. The old-vines give this Sauvignon blanc an additional dimension of depth and complexity and the natural, sans soufre style lends a wine that is highly drinkable and digestible.